Vail’s Lindsey Vonn clinched the season downhill title on Saturday with a second-place finish in La Thuile, Italy, reclaiming the overall World Cup lead and claiming her record 20th crystal globe. Italy’s Nadia Fanchini won her first career World Cup downhill to thrill hometown fans, and her teammate Daniela Merighetti finished third. Switzerland’s Lara Gut, who won Friday’s downhill to briefly grab the overall lead from Vonn, finished 11th and once again surrendered the overall World Cup lead to Vonn by 43 points (1,140 to 1,097) with just one downhill left on the schedule. The season downhill crystal globe was the eighth of Vonn’s storied career and 20th discipline title overall, surpassing Swedish great Ingemar Stenmark’s previous record of 19. 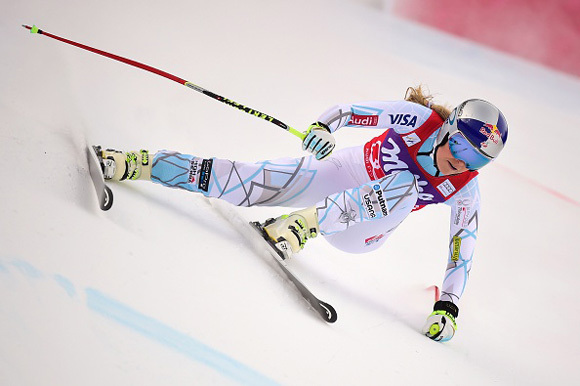 Next up in La Thuile is Sunday’s women’s super-G, a discipline Vonn also leads over Gut, 360 points to 261. Vonn is looking to expand her American record with a fifth overall World Cup title, but it looks like it will come down to the wire with Gut. After this weekend there are just four events left before the World Cup Finals in St. Moritz, Switzerland, March 14-20.